The gear selector is screwed on (13-14 rotations), although they can be very tight. Thank you for the answer. I have another question. 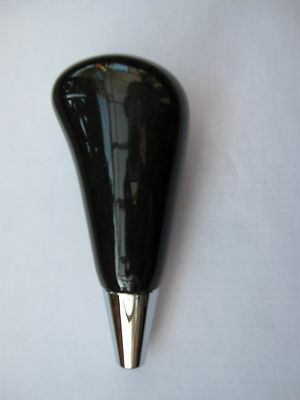 Can I buy a classic gear knob (for example MOMO) for change it? Because the original haven't a button for gearbox. Others who have done a replacement are probably better placed to answer this, but I'd be surprised if you couldn't. Just measure the thread and stem. I'm sure you'll be able to find plenty of options. So did I, typical straight forward with some force. Just keep the lever in place. Good. Thanks for all answer! I found this in the service manual, if might help. Pretty much most Lexus and Toyota knobs will fit Grand Vitara. I put in a dark wood knob out of RX330. In order to be able to post messages on the Suzuki Forums: Suzuki Forum Site forums, you must first register.